After publishing an open appeal to the President of Turkmenistan to stop squandering of public property at the Repair and Maintenance Department of the Turkmenneft state oil company, ATN has lost all contacts with the author – Hekim Hajiev — a mechanic who worked for this company in Balkanabad. Following the order from the Ministry of National Security, the regional mobile operators have blocked his access to the internet, his landline phone and his six sim-cards. Having reported to President Gurbanguly Berdymuhamedov on embezzlement of public property and other violations at the company, Hajiev asked the President as the guarantor of the Constitution, human rights and freedoms for the citizens of Turkmenistan to protect himself and his family from arbitrary will and prosecutions from the oil company and the local security forces. ATN cannot establish contact with Hekim Hajiev from the moment of the publication of his second appeal – this time to the international human rights organizations – about inaction of authorities and concerns for his life and lives of his relatives. Unfortunately, Hajiev’s fears have been justified. ATN has had telephone conversations with his daughter and daughter-in-law, and both seemed to recite memorized phrases written for them and not very characteristic of these women. They cursed profoundly and said that ATN’s activities were harmful for their families and even the whole country. They rudely demanded that ATN leaves them and Hajiev alone, saying that he was fine and had no complaints. However, they could not say why Hajiev was not available for contact. 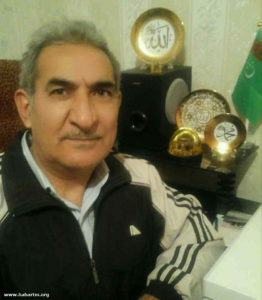 Instead of responding to facts listed by Hajiev and punishing those who took part in embezzling public property and attempting to hush the person fighting for justice, Turkmenistan security forces cut off his internet and phone lines, intimidated his relatives and made him a slanderer and an outcast in his own family. Isolating a person who dares to tell the truth and tries to uphold justice, disconnecting his internet and telephone lines, rudely interfering in the lives of his family, bringing discord in family relations, spreading rumors detrimental to a person’s honor and dignity among his family members, neighbors and colleagues – this is by far not the complete list of methods applied by security forces of Turkmenistan to anyone who demonstrates civic engagement, dedication and readiness to express opinions openly. Such dirty methods were used during the inglorious Soviet NKVD/KGB times, and they continue to be used in today’s Turkmenistan. Moreover, the arsenal of illegal actions and dirty tricks has been expanding year after year. 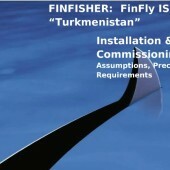 Having introduced the high-level measures to prevent leakages of negative information about Turkmenistan, the country’s special forces started fabricating criminal cases – as those against Saparmamed Nepeskuliev from Balkanabad and Galina Vertyakova from Ashgabat; organizing attacks by unknown assailants – as was the recent case of the “Azatlyk” radio correspondent Soltan Achilova from Ashgabat; and placing people in mental clinics – like it happened with the late teacher Sazak Durdymuradov from Baharden and the civil activist Gurbandurdy Durdykuliev from Balkanabad. There is serious concern that the name of Hekim Hajiev will be added to the list of “achievements” of the Turkmenistan security forces. 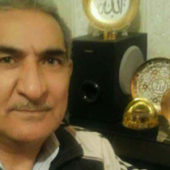 According to ATN, the authorities have already forced Hajiev’s family members to deny any connections to him, having threatened them with job terminations, travel bans and ruined lives for their children and grandchildren. ATN is highly concerned about the oppressive environment created by Turkmenistan authorities around a person who had courage to appeal to the President and international organizations for support and protection. Isolating Hekim Hajiev from the outside world, making him an outcast among his relatives and claiming him to be the main cause of all problems – these are silent steps of the authorities to lay the basis for Hajiev’s enforced disappearance.